How Much Is That Artifact in the Window? Mills between 1986 and 1992. Granted, the project was expensive to produce, and it was a limited run to begin with, but how was this price determined? Monetizing fine art is a fairly logical process. Artists who have reputations command more money than those who do not. among the few commercial graphic forms that follow this model; those produced by acknowledged masters of the craft, such as Lucian Bernhard or Jules Chéret, have greater resale value than posters designed by those judged to be lesser talents. Add to that the poster's condition and rarity, and the price is established. But what about “lesser” objects that were produced in large quantities by vintage designers who are not so prized? And what about the work of active practitioners or those who recently passed away? 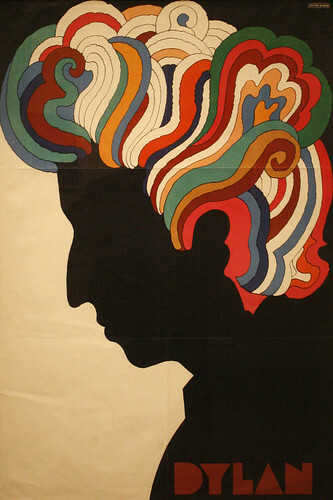 What determines, for instance, how much a Paul Rand El Producto cigar box (the one with the photogram on the top) is worth (I paid $95 ten years ago) compared to Milton Glaser’s Dylan poster (I paid $95 for a first printing). And what about original sketches, comps or final artwork compared to the reproductions? How are those items priced? Sometimes, valuable objects fall between the cracks. More than ten years ago, Steven Guarnaccia, the chair of the BFA illustration department at Parsons, breathlessly called me to say he had just found nine mint copies of Sutnar’s Catalog Design Progress, the Czech designer’s seminal book, for $10 each at a secondhand bookstore in Manhattan. I had purchased a copy for $100 a year before from a rare-book dealer, and six months later I saw one for sale at $500. I suggested Guarnaccia keep two, sell one to me, sell one to a friend of mine for $250, and sell the remaining five to a dealer for $200 each. I learned later the dealer resold each copy for between $300 and $450. And I bet the buyers were happy to have them. Not all Sutnar materials are this expensive, but his place in design history generally translates into high prices. In the 1990s, libraries were paying top dollar for avant-garde graphics, and selling them to collectors became a high-stakes game. “There has been a market for these sorts of ephemeral productions going back into the early ’80s,” says McWhinnie. He cites Arthur A. Cohen and Elaine Lustig Cohen, proprietors of the New York bookstore and gallery Ex Libris, as pioneers who helped establish a market for this type of graphic design. To a degree, their ambitious pricing set the tone for the '80s and '90s. Other dealers followed suit. 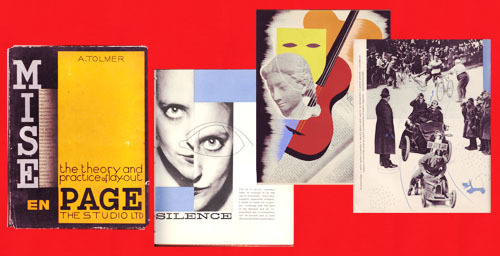 European avant-garde movements such as de Stijl commanded the highest prices (and monographs about those movements helped push the prices upward). Then a flood of books on American and European emigre designers helped raise their public profile, and collectors began paying attention to their work. There are other considerations besides the designer's name or affiliation. 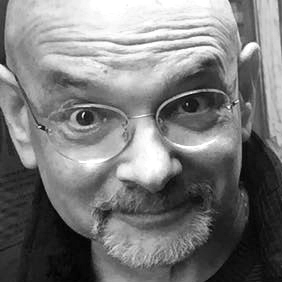 James Fraser, former librarian of the Friendship Library at Fairleigh Dickinson University in Madison, New Jersey, follows these quirky principles when appraising graphic design: “1. Skilled die-cutting with a design concept that begs for the technique and is perfectly conceived for the product, etc. Not just a die cut for the sake of it. 2. Ephemera style that is so much of the period in color, typography, image, text that it 'dates itself.’ 3. Ephemera producer's position as 'design leader' in a field in a given period, e.g. Knoll, I. Miller, PKZ, DTV, PTT, etc. And 4. Ephemera that is by — or carries the mark of influence by — a coterie of ‘agenda designers,’ e.g. Peter Alma, August Tschinkel, Otto Neurath, Gerd Arntz, Seiwert, Hoerle, etc.” If you don’t recognize these names, that’s in large part why they are valuable. Their work represents the roots of modern graphic design but is known only to a rarefied few. Books are a different story. The book market has clear guidelines and some intangible ones, too. If a book is important and rare, the price predictably will be high, but what’s important and rare is subjective. Often it takes a mediator — historian, critic or dealer — to convince others of such value. I once had the opportunity to buy Alfred Tolmer’s Mise En Page: The Theory and Practice of Lay-Out (1931) for $25 Five years later, it was $350 In the meantime, it had been written up in a few design histories. What about setting a value on contemporary designs (i.e., from the past 20 years)? If I were pricing Design and Style, would I have gone so high? Probably not, but then again, valuing one’s own work is difficult (and I have a few complete sets). Given that many designers control their inventories, they can price according to what the market will accept and withhold whatever doesn’t bring the price they want. I will only expend large sums under one circumstance: I can’t live without the artifact. Regrettably for my pocketbook, that covers a lot. I often have this conversation with friends of mine who are old school crate-diggers. When the ebay boom of a few years ago doubled, tripled, or quintupled the price of certain "rare" records, many of the older guys from the scene were astonished (though certainly not unhappy to cash in). How on earth could one terrible record with one five second break all of the sudden be worth $100? Obviously because people were willing to pay for it. As I'm always reminded, records (and by extension any ephemera) always seem rare and expensive until you find a copy for yourself in a dollar bin. Sometimes it takes you twenty years to find it, but when you do it sort of changes your view on it. As design grows from a small, close-knit circle to a larger profession, we're finding there are a lot more people interested in all this stuff, and some of them have wildly different views on what things are worth. Before Charley Harper died (and before the Oldham book), you could get his Book of Biology for under 5 bucks just about anywhere. Now you can't get it for under $150. That is, you can't get it for under $150 unless youre willing to look and search. I'm sure just like all my crate-digging friends, Steve, you've got your "spots" that you won't tell anyone about. Its true with most record buyers and book buyers and I'd imagine any other kind of specialized buyer. But for those hours spent endlessly digging through crap, we get this one gem for remarkably less. If you're not willing to put forth that effort, you're probably ok with spending quite a bit more to not have to search. That, to me, is the difference in our willingness to pay. How much are you willin' to pay for a complete set of the 1972 Aspen Design Conference Posters? * As a smart 8 yr old, I saved these from the trash bin. My dad was (still is) a paper guy and was probably my influence for becoming a graphic designer. Context is everything. A student told me that she recently bought one of Paul Rand's El Producto cigar boxes at a garage sale for $1. Someone though it was just...an old cigar box. Most graphic design ephemera does not have any intrinsic value: it's all what we fanatics see into it. Rarity is not even a reliable issue since the size of "editions" is often unknown. (How many of those cigar boxes did El Producto print?) That is why I find the comment from James Fraser sort of amusing: well-conceived and executed die cutting is somehow a reliable indicator of value? I think he just likes die-cutting (not that there's anything wrong with that: you do, afterall, have to start somewhere.). this article talks about value in its way. and for my money, neither the dated work of chwast (not coincidentally of whom there is a new book on and as such, this is a pretty obvious kind of subconscious shilling) or the retro graphics compilations of heller is gonna get a penny from me. When the Strand bookstore bought out Hacker Art Books about 7 or 8 years ago, multiple fresh copies of a number of scarce titles emerged from Mr. Hacker's east side warehouse. I'm told Strand is still working off the contents of that warehouse. You never know what they're going to bring over. One of the pricing mechanisms that has led to inflated prices is the ABE database. Dealers see a copy of a book there at a certain high price and suddenly all copies are priced in that range, no matter how many more emerge onto the market. Then there they sit for years. Literally years and years and years in some crazy cases. That's not a market, it's a speculative warehouse that has lost most of its real world relevance. One of the new ways in which graphic design books and ephemera is catching on as collectible (and how word can spread among enthusiasts about particular titles) is Flickr. Someone posts pics of a great find on a Flickr group devoted to, say, Wim Crouwel or Joseph-Muller Brockmann, and then others want to go out and find that title or catalog or magazine cover, etc. It’s funny how Ladislav Sutnar’s “seminal” Catalog Design Progress (1950) turns up in conversations about rare canonical design works and their crazy prices. I wonder whether the book would get the wholesale adulation it tends to receive if claims about it were subject to closer scrutiny and the book itself were more commonly available. I don’t buy Sutnar’s inclusion of a section on “flow” in the front of the book — and his implicit predication of flow as somehow pertinent to catalogue design — because I don’t think that “flow” is how people maneuver through catalogues. They went to indexes in those days, as they now use search utilities. It was the index system that was one of the great innovations of the Sweets system, and that goes back to their first catalog “file” in 1906. Nor am I convinced that all of the outmoded examples that Sutnar x’s out in the book, are so bad after all. (In fact, I prefer some of the designs he disparages. over his own improvements.) My own sense is that he misunderstood Lonberg-Holm’s (and C. Theodore-Larson’s) ideas about information flow, and got too literal/formalistic about them in this book. Sutnar was a supremely confident and talented formalist, who gave a modernist look to communication problems of his time, at a time that American business sought just that kind of new look. More importantly, how can we test anyone’s assertions about this (or any) book, if the book is unavailable? WorldCat shows 104 copies in the world, 97 of them in the United States. That’s not many, relative to the tens of thousands of students in design schools. I suppose that slide views of flat art (including posters) give one at least an inkling of what experiencing an original might be like, but when it comes to book interiors, particularly something like Catalog Design Progress, I don’t think it works. But I’ve wandered a bit off-topic. When will someone reissue Catalog Design Progress, and hopefully its predecessor, Catalog Design (1944), which eschews the section on “flow” ? And Steven, when will we see the reprint of Sutnar’s Visual Design in Action, that’s been waitlisted by Amazon for years now? One more observation about prices. Years ago I worked for a rare book dealer; indeed, I got an important part of my education there (Serendipity Books, in Berkeley). That experience taught me that there are smart, knowledgeable and responsible dealers who set prices, and stupid dealers who price poor examples of given books on the basis of the highest price a title might theoretically fetch. My point: inflated prices predated ABE. I’ve also found that where one believes a book's price is way off, one can test the market by offering a different price, and at least get a counteroffer by reasonable dealers. Regarding the value of Sutnar's CDA and other books. They are highly inflated yet have become essential documents in an under documented field. As for the reprint of Visual Design in Action: I have no idea what happened to that project. I was asked to write a foreword along with former MoMA curator Mildred Constantine, who passed away earlier this year. We both submitted our copy years ago. Sadly, the book was never published. I presume there were financial difficulties as we were never paid either. But you're right. Not all Sutnar's theories were correct and it would be a great exercise for design critics to analyze what he proposes in the context of when he wrote the book and today. It seems like two different things are being talked about here interchangeably- the artifact, and the information it contains. Just as in record collecting, where there are those who only want to listen to the music, and others who are obsessed with the physical object, there are two layers of desirability in a book like Catalog Design Progress. There is the information contained in it- which, to be honest, can be digested and appreciated or rejected just about as well by looking at a scan of it online. Then, there is the actual object- which has an entirely different appeal, with paper quality and selection, printing process, history, and nostalgia all wrapped around the information it contains. I am constantly going back on forth on these two poles of desirability- I have something like 120 days of continuous music on my Ipod, and appreciate the content much more than I savor actual 33 1/3 albums anymore- the 1000 or so I have seldom get fondled anymore. But I still pay what many people consider silly amounts of money for actual physical BOOKS about a variety of what I consider "my" subjects- and covet certain other categories of physical objects. Some of which could have the information they contain displayed digitally, at virtually no cost. One more quick thought- where, in all this fetishism, would a digital reprint of a scanned copy of an out of print book fit in? Nowadays, you could upload scans of one of these rare and desired objects, and then anyone who wanted could have ONE COPY printed and mailed to them by those new online companies like Blurb or Lulu. Of course, they wouldnt be rare, or REAL- but they would still be physical books, containing the same information, albeit at lower definition, due to the printing process. At 8 Billion of us and counting, obviously not everybody who wants an original copy is going to get one. CDP is probably not a standard lulu size, but maybe that's not so important. what is important is to read the words that are in these books, and test them against their own evidence, and our knowledge. we see visuals of Sutnar, for example, in the history books, websites, flickr. and some texts have been published in the Allworth series, but there's not enough. I guess I've got a special fixation on Sutnar, having access to his published books, Lonberg-Holm materials, etc. to continue with the record collecting parallel, I doubt reprints affect prices that much. Most good rare records have been reissued by now, but those prices don't change a whole lot (soemtimes it makes the demand for it even higher). If there's still two people who desperately want the record, then the prices will remain at the price they are. Reprints are important for another reason—its already showing its affect here. Like a reissued record, people get to decide for themselves if something is worthy of canonical praise. And people who have never heard of it can share in the possible inspiration that comes from finding something never experienced before. ugh, sorry, re-reading the previous comments I realize my own have seem completely misplaced. he collects 60's and 70's African LP's, in Africa. He loves the artifacts- and often includes on his website great scans of the sleeves, and even the labels on the records themselves, and his stories of accumulating the artifacts in Africa are great. But he also does it for the music- and, thankfully for those of us who cant spare a few years of riding around small towns in Africa on the backs of motorscooters, he has posted hours and hours of it, free, online. So- its still hard for me to decide which wins- Content, or Authentic Objects? content or authentic objects. tenor and/or vehicle. can't decide. I sample both, but have plenty of those "authentic" objects, at least in some areas I care about most. when we're reading (or whatever) "content," we should be conscious about the present (and absent original) vehicle; and when we're amongst our collections of objects, I suppose we need to remember that there are messages (content?) encoded in them. thanks Ries for the voodofunk link, improved my mood immediately. I'm also a fan of Alastair Johnston's muzikfan, reviews of music mainly from West Africa and the Carribean/South America (but generally without the downloads). On my graphic design shelf are numbers 3-7 of "Design and Style," all bought at reasonable prices at bookstores in NYC over the last 10 years. I even have a duplicate copy of number 7, the Bauhaus issue. Does anyone want to trade a copy of number 1 or 2 for it? B/A Furniture began as a small futon shop in New York in 1999. The unusual design sofas that they have is a unique way to approach modern design.You can find any sofa ranging from classic to modern design.